Muay Thai promotion “Thai Fight” gears up for the next season with the first event scheduled in Phuket, Thailand. An upcoming show marks its first visit to a rainforested, mountainous island in the Andaman Sea. Thai Fight Phuket follows a recently promoted (Dec. 22) gala in Nakhon Ratchasima, which finalized 2018. In summary, nine shows were produced this year. Eight events were held in various cities of Thailand. As well, “The Kings of Muay Thai” visited Italy, showcasing their skills in Rome. The lineup of the upcoming show is yet to be announced. Nevertheless according to the image the promotion shared in social media (via Facebook), famed Saenchai partakes in Thai Fight Phuket. 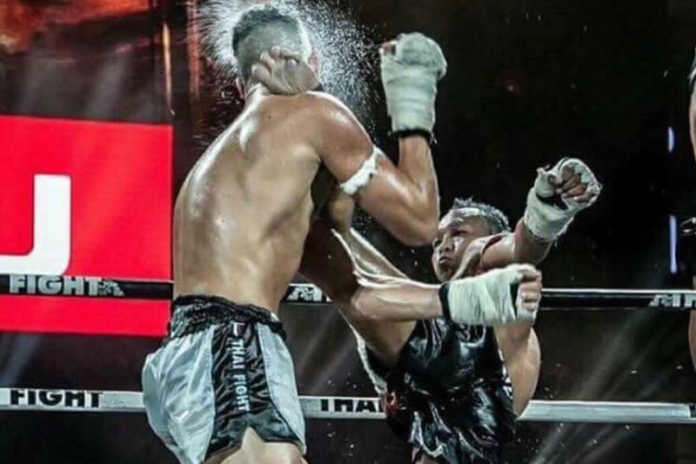 Dubbed as one of the greatest Muay Thai fighters of all time, Saenchai is fresh of a unanimous decision win against Jamal Madani at Thai Fight Final 2018 held this past weekend in Nakhon Ratchasima. Going through the ropes in Phuket he will be looking to update his record to 45 wins in a row. The date and venue of Thai Fight Phuket, as well as the matchups are expected to be announced in the coming weeks. Meanwhile, Phuket is also a host of the next, seventh edition of “All Star Fight”. The event is scheduled for January 27 with Buakaw Banchamek battling it out on the top of the fight-bill.